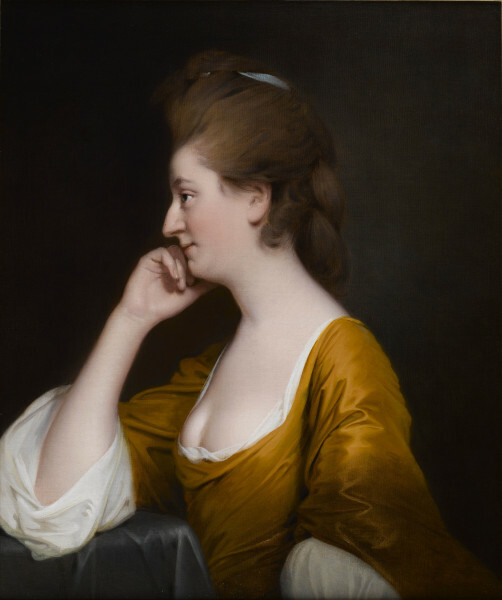 Elizabeth Gould is depicted in profile, lost in thought with her chin resting on her hand. Wright used this pose in many portraits and narrative paintings in the late 1770s and early 1780s. He was inspired by literature and antique sculpture to explore expressions of melancholy and poetic sensibility. Wright painted this around the time of the sitter’s marriage to John Balguy, a lawyer and member of a long-established gentry family in Derbyshire. Their Derby townhouse was close to Wright’s, and as his father and brother were also lawyers he would have known the Balguy family well.